Eddie Hearn, promoter of Anthony Joshua, has shot back in reply to Deontay Wilder’s claim – or insistence – that the Matchroom boss will not allow “his cow,” Joshua, anywhere near him for fear of losing out on big money that can be made, or “milked” from other, easier fights. Speaking with Sky Sports just minutes ago, Hearn said that Joshua very much wants to fight the WBC champ and that it can happen next so long as Wilder beats Luis Ortiz on Saturday and Joshua defeats Joseph Parker on March 31. 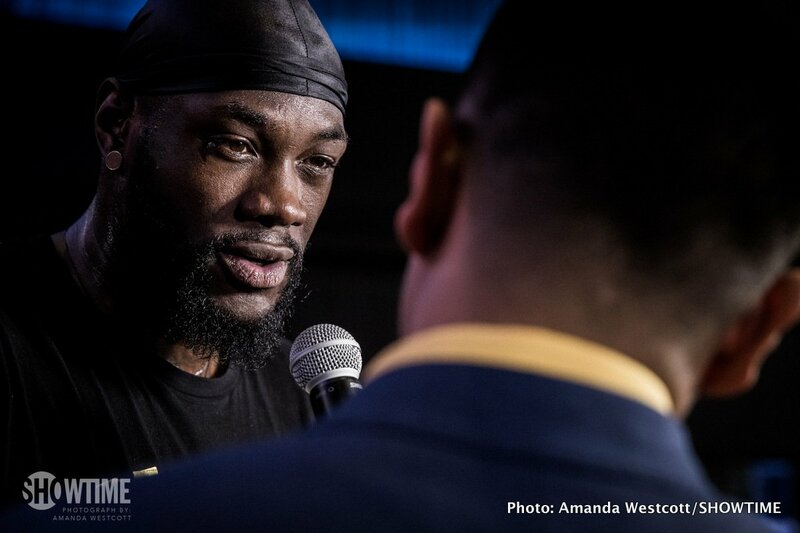 Hearn recently said that if no Wilder unification fight can be made – and he again said how Wilder is way off the mark in asking for a 50/50 purse split “we’re going to have three belts, he’s got one” – AJ will look to box his US debut in the summer maybe against Jarrell Miller. But it is Joshua-Wilder that the fans really, really want to see. Are we closer than ever to seeing this absolutely mouth-watering heavyweight blockbuster get done? Let’s hope Wilder and AJ take care of business in this, a big month for the heavyweight division.